Deciding to purchase a luxury SUV is definitely exciting, and we’re guessing you’ve come across the Land Rover models in your vehicle research travels. Land Rover models are great vehicles, but to ensure that our drivers in Albuquerque, Rio Rancho, and South Valley have all their research in one place, we’ve created these vehicle comparisons for you to make the best possible decision for your driving needs. Why Read Land Rover Vehicle Comparisons? When you’re looking for a new luxury vehicle, research is key to finding the model that works best for your lifestyle. Perhaps you’ve got your eye on the classic Land Rover Discovery or the upscale Range Rover Sport. You’ll want to know what’s offered in each vehicle before you make your final decision. Additionally, there are plenty of great vehicles on the market from other manufacturers, some with similar features to the Land Rover models. 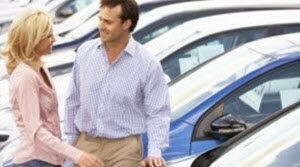 By reading our vehicle comparisons, you can be confident in choosing the right model for you. What Information is Provided in These Comparisons? Reading our Land Rover comparisons allows you to find information on both the Land Rover model and its competitor. We’ll provide details such as technology features that will keep you both safe and entertained, interior space and design, engine power, and more, so you can have all the specifics before making a decision. We’ll explain what you’ll find in both models and how you’ll benefit from the offered features. That way, you can decide for yourself what matters to you for your next luxury SUV. If you’d like to start reading our Land Rover car comparisons, simply click any of the links provided on this page that display your preferred Land Rover and competitor. You’ll then be taken to a new page that will show you all the information you’ll need to make a judgment call. 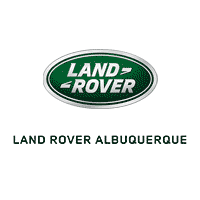 Then contact us at Land Rover Albuquerque to set up a test drive or if you have any questions about our Land Rover models or the car-buying process. Happy researching!